Hanoi is the kind of place where you’ll want to spend a few days and really explore all its museums, landmarks, restaurants and nightlife. But when the traffic and smog starts to drive you mad, leave the city behind and get out into the countryside on a day trip. It can be difficult to narrow your choices, so here are our 10 recommended day trips out of Hanoi. To really engross yourself in nature, travel two hours west to Ba Vi National Park. 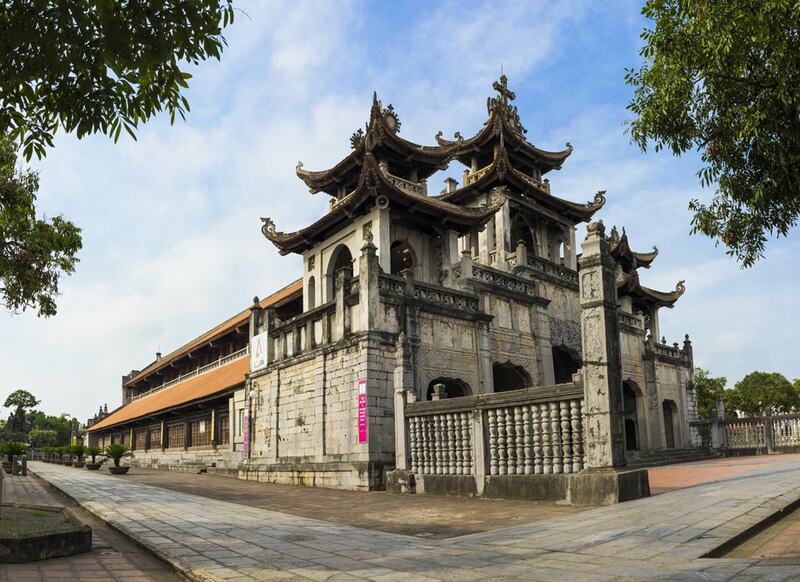 There are three peaks which make the focal points of this park, and on the second tallest peak, Tan Vien, there’s an 11th century shrine for the Mountain God. And after you’ve hiked the trails and gone for a swim, take a break in the spa. Likely the most popular day-trip from Hanoi because of the beautiful scenery. The trip starts with a two hour drive into Ninh Binh province, where you then get on boats and float down the Sao Khe River with a guide who’ll keep you entertained while she rows the boat – at times with her feet. At Trang An, you’ll float into caves and glide past towering limestone karsts, weaving through scenery unlike anywhere else in the world. After you finish your Trang An boat trip (which takes about two hours), make the short trip to Tam Coc. It only takes about 10 minutes to travel between these two popular spots. At Tam Coc, there are even more amazing karst formations. Unless a tour group has decided for you, you’ll have the option of either biking or going on another boat ride. There are many companies running day-trips to both places as a package deal, but it’s really not all that difficult to just show up on your own. You can catch a bus there and then rent a motorbike to get between the places. It all depends on how comfortable you are traveling to your own schedule. Because they’re both so close to each other, trips to Trang An/Tam Coc are often packaged together with visits to the Hoa Lu Ancient Capital. 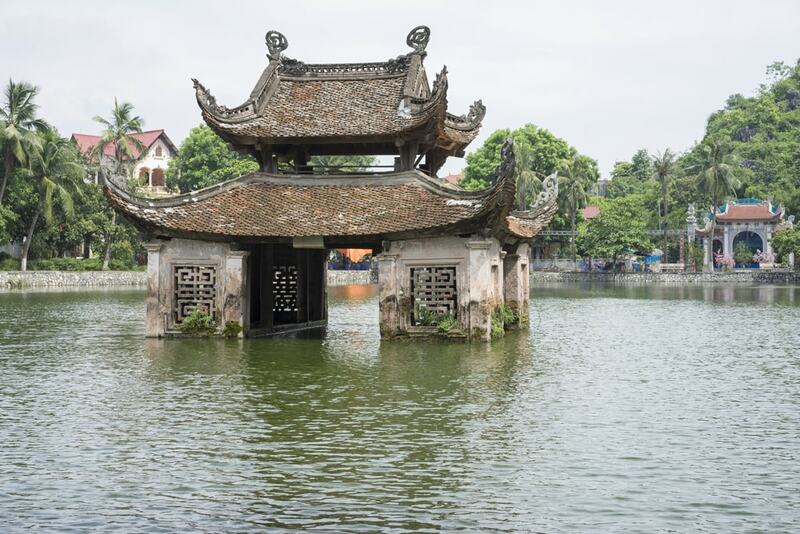 As the name suggests, Hoa Lu was once the capital of Vietnam, during the 10th and 11th centuries. Little remains of the original structures, but there are newer temples and buildings honoring the original dynastic families. The area is also nestled between steep hills, making for great pictures. 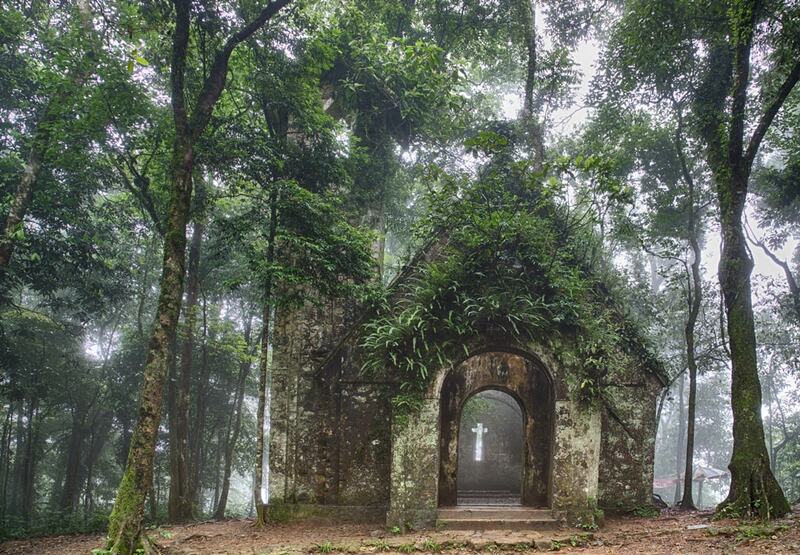 Christianity was first brought to Vietnam by Portuguese missionaries four centuries ago. Now there are approximately six millions Catholics in the country. The Phat Diem Cathedral, built in 1892, is still a functional church to this day. It had to close 1954 when the Catholics fled nationalist forces, and Graham Greene even mentioned the cathedral in his famous book, The Quiet American (1955). 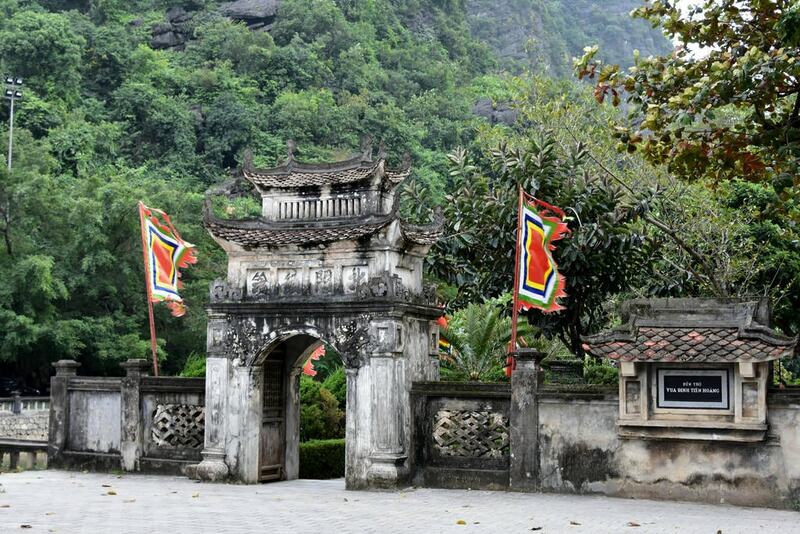 Established in the 11th century by Nhân Tông of the Lý dynasty, the Thay temple is one of the oldest in Vietnam. It’s still the home to monks who maintain the temple and periodically put on water puppet shows during festivals. The temple itself has some of the best examples of Vietnamese Buddhist architecture. Since the temple is only 30kms from Hanoi, it makes for an easy day-trip. The Perfume Pagoda is one of the busiest tourist spots in the region because Vietnamese Buddhists often make pilgrimages. From February to April, crowds flock to this pagoda, so keep that in mind if you don’t want to bump shoulders with tour groups. Although, even at its busiest, the combination of natural beauty and rich cultural heritage still make this a day-trip to consider. The boat trip alone to get to the pagoda is beautiful enough to justify the trip. This valley is another picture perfect spot, with rice paddies and lines of jagged mountain ridges. It’s one of the longer drives in this list, at over three hours, but here you’ll get to experience the lifestyles of the region’s ethnic tribes. Overnight homestays are popular, but stopping in for one day is also a fine option. 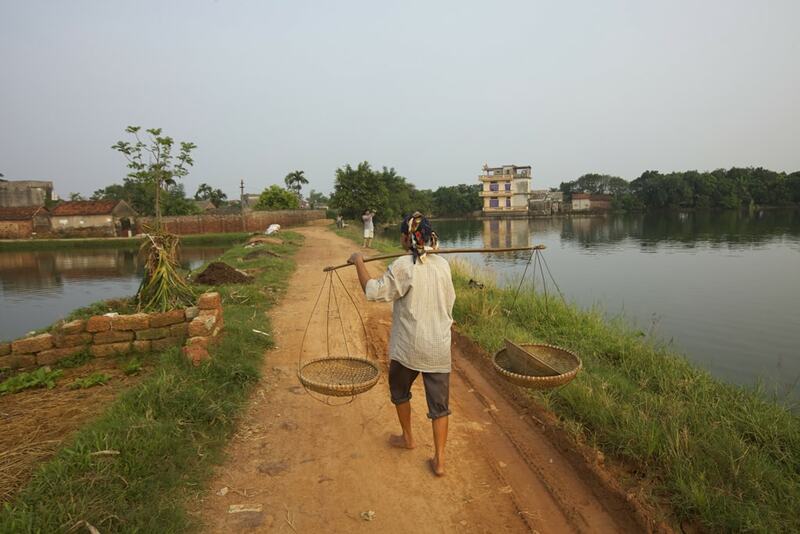 You can bike or trek through the remote villages and you’ll even have a chance to spot some rare and exotic wildlife. Now to the crown jewel of tourism in Vietnam. Pretty well everyone who visits this country goes to Ha Long Bay. It’s page one of every travel guide ever written about Vietnam. It’s a mystical place – almost otherworldly – and famous for good reason. Even though Ha Long City is quickly going down the tubes, Ha Long Bay still deserves a day to take in the sights. We recommend you splurge on a fancy dinner boat, or a quality tour guide. Keep in mind there are many bad choices in Ha Long Bay, so do your research first.